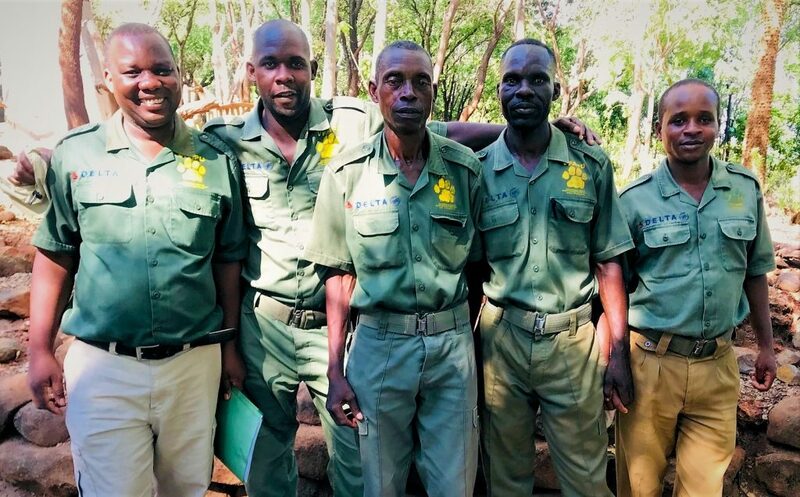 Victoria Falls has 17 unsung heroes, who risk their lives daily, often in the searing heat and without adequate resources, patrolling the bush to protect the region’s precious wildlife and trees. 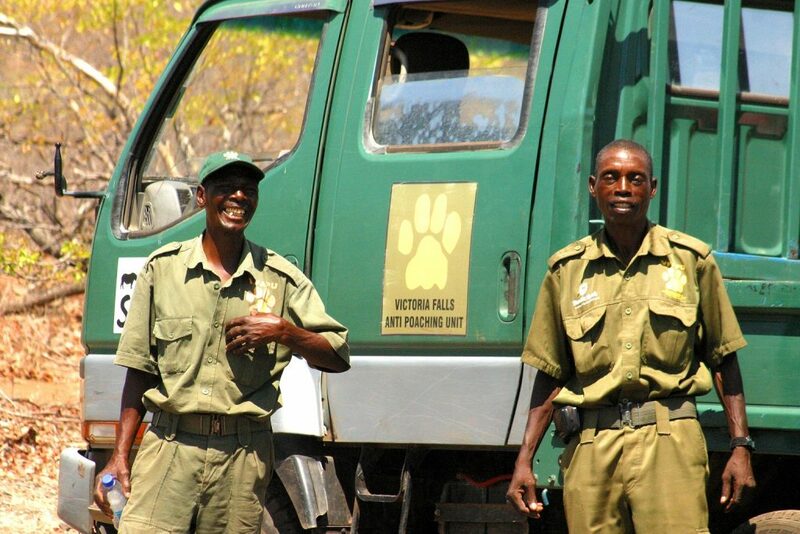 The Victoria Falls Anti-Poaching Unit (VFAPU), which celebrated its 20th anniversary this month, has had a major impact – each year, arresting nearly 40 hardened poachers, removing more than 1,000 snares and rescuing ten mammals injured by the snares. Many of these scouts were born in the rural areas outside Victoria Falls or Hwange, and have worked for VFAPU for several years, and all have a passion for protecting wildlife from poachers. The scout, who grew up in the small town of Dete, on the edge of Hwange, Zimbabwe’s largest national park, and has been with VFAPU for 15 years, says the worst part of his job is coming across animals killed by poachers. VFAPU is a non-profit organisation dedicated to the conservation of the wildlife and natural resources within the Victoria Falls region. 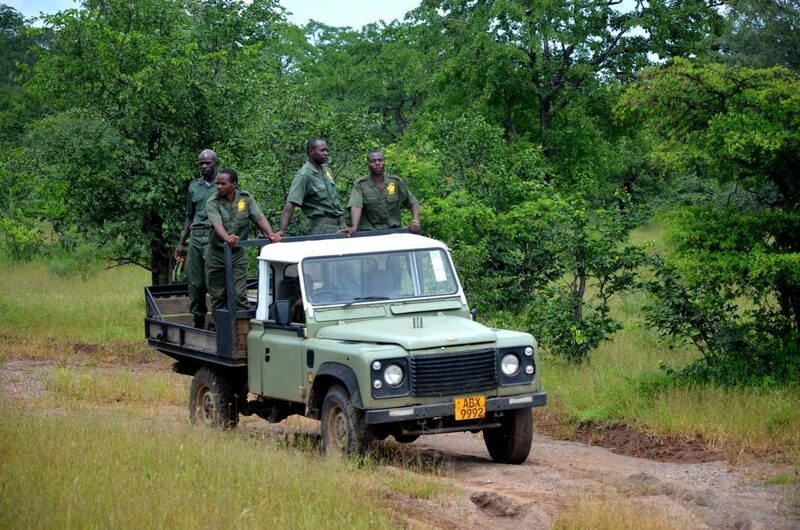 The unit works closely with the Zimbabwe Parks and Wildlife Management Authority and the Zimbabwe Republic Police. It was formed in 1999 by local safari operator and conservationist Charles Brightman and Victoria Falls Safari Lodge, Africa Albida Tourism’s flagship property, in response to alarming levels of poaching taking place. As supervisor, Tshuma decides which areas to patrol on which days, with the scouts often either walking or cycling to their patch, depending on how far away it is. Once there they comb the area for snares and any signs of poaching activity. Highlights last year included rescuing a pangolin, which had been captured for its meat, and finding 39 oranges laced with cyanide to kill elephants and arresting the poachers allegedly responsible. However, Tanyala Ncube admits he didn’t exactly grow up dreaming of being an anti-poaching scout, but it is a calling he has now grown to love. “When I was growing up I never thought I would end up doing this, but because of challenges faced I found myself in this job, and now I enjoy it,” Ncube says. “I thought I would be working under shade, sitting on the sofa … and now I work under the shade of a tree,” he laughs. Having been a VFAPU scout for nine years, Ncube, who grew up in the village of Kasibo, near Dete, says he enjoys being in the bush, seeing and saving wildlife, and catching poachers. “I enjoy catching someone who is doing something unlawful – sometimes we discover a snare wire and we know a poacher will come, we wait for him, I like to see the reaction of that guy, and catching him is the best part of the job. Liberty Parangeta, who joined VFAPU 14 years ago, knows how important their work is – without them, future generations may not be able to enjoy the wildlife and trees, that were once everywhere. Before Farewell Amos joined VAPU 12 years ago, he worked as a rhino handler at Matusadona National Park on the shores of Lake Kariba, where he was born, and he values the wildlife and trees, knowing that without them he would not have a job to support his family. Philemon Shoko, 60, who has been with VFAPU for 14 years, was inspired to protect wildlife by his uncle who was a game ranger in Zambezi National Park.